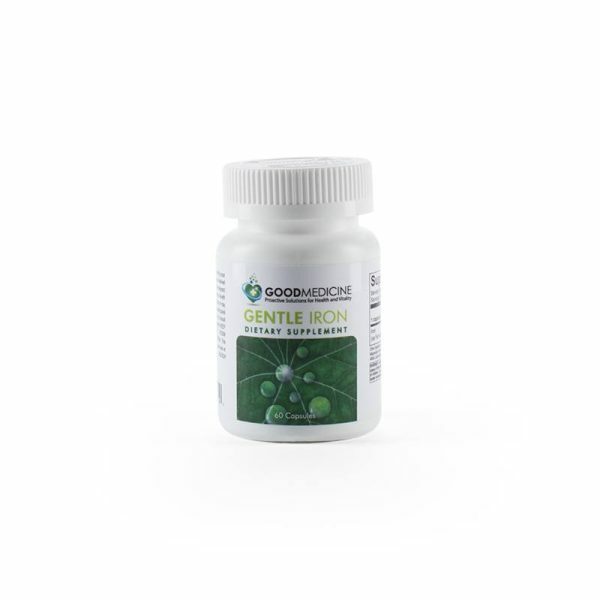 Gentle Iron includes high-concentration, gentle iron to support energy production and a variety of other protocols Iron is one of the most abundant minerals on earth. It is essential to the majority of life forms, especially human physiology. Iron supports prenatal and cognitive health, as well as energy balance. Iron is an integral component of the proteins involved in oxygen transport and storage: hemoglobin, myoglobin and ferritin. Iron, as part of the protein hemoglobin, carries oxygen from the lungs to various parts of the body. Hemoglobin accounts for nearly two-thirds of the iron found in the body, and carries essential oxygen to tissues and organs. 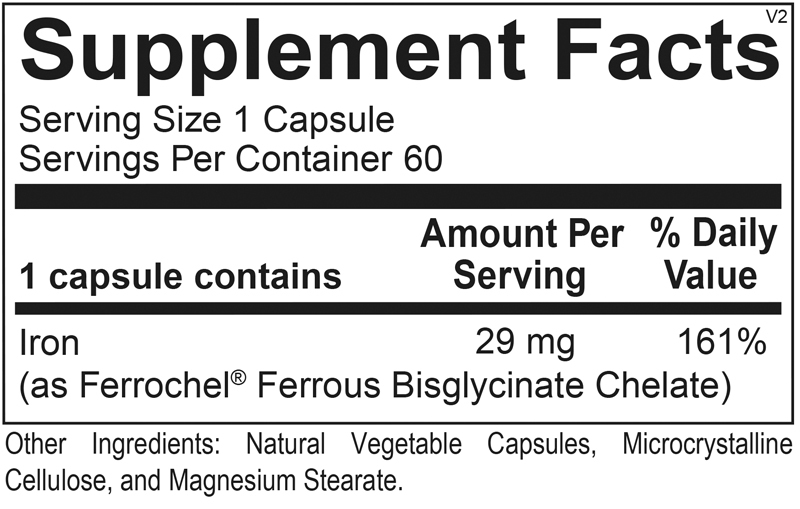 Approximately one-sixth of the body’s iron is stored as ferritin for use when dietary intake is not sufficient. Iron must be maintained at balanced levels within the body – too much can cause toxicity and too little may lead to impairment of optimal health outcomes. Iron has to be carefully absorbed by the body. Interference can easily occur, making adequate consumption through diet and supplementation imperative to achieving a healthy balance.